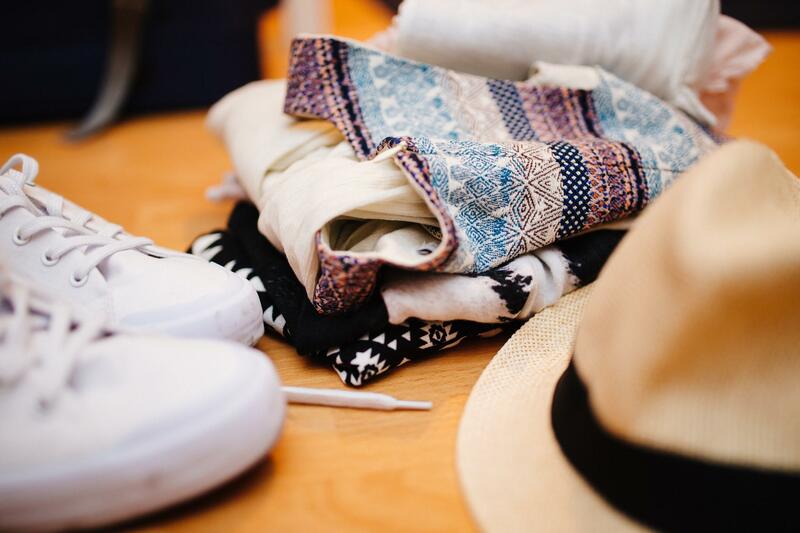 Enjoy this guest blog from freelance writer Jennifer about packing tips. Probably the biggest dilemma you have when you go on your holiday is, “what do I pack?”. It’s a question that bamboozles us all and many find it’s probably the most frustrating part of the holiday. You open your wardrobe with a large selection of items and not knowing where to start. In some cases you end up packing too much and stressing out, but we don’t want that. Instead, here are some top tips to help save space when you pack. We’re not entirely sure why this works, but rolling your clothes rather than folding them saves plenty of space in your luggage. It makes your clothes more compact and makes them easier to stuff into small spaces rather than stuffing them in. You might be able to take more clothes than you thought after all. Everyone fears being that one frustrating passenger on the plane that holds up all the other people from getting to their seat because they’re struggling to get their luggage in the overhead passage. Aim to pack your heavier items at the bottom of your bag so the lighter ones can be easily compressed when you look to put it in the overhead compartments. You could also save yourself being charged that extra baggage allowance if you do. Toiletry bags have a habit of taking up too much room in the suitcase. They cover up a lot of space that could be utilised a lot better and results in wasted space. If possible, try to refrain from using them and pack your item in food bags instead. Space in your shoes is the perfect place to put small items and easily compressed clothing. It’s ideal for packing socks and underwear making room for some other items instead. If you have small children you could utilise the space and put their shoes inside yours. Whether they’re normal glasses or sunglasses, they’ll still be space in there to add small hand luggage items. Tuck your earphones into them when you’re not listening to music, place your miniature liquid bottles inside it or even place in their your small jewellery if you’re not wearing it on the trip. It also helps with making sure you don’t easily lose your small items. Imagine you’ve booked a rental villa in the summer and yet you’re sat on the plane with your bulky hoodie on, but sometimes it can get quite cold when you’re travelling to different climates and bulky items can take up plenty of room in your suitcase. Look to wear your bulkier items on the flight or check whether you have something smaller that can be used instead. This way you can still take your favourite hoodie without it taking up too much room. Wrapping a belt into a small circle still takes up quite a lot of space in your suitcase. A great trick is tucking the belt inside a shirt collar and lining it through the perimeter. Not only does it save space but it also keeps your collars stiff. If your collars are too small you can also wrap the belt around the inside line of the bag to save plenty of space. My name’s Jennifer and I’m a student but also an aspiring freelance writer. I’m currently based in the UK and have had the privilege of visiting many different cities and countries at such a young age.